Oregon is seeing record-breaking recycling rates for their progressive movement dating back to 1971. As the first state in the nation to initiate a bottle return bill, residents of the west coast state are long-accustomed to paying a bit more for their canned and bottled beverages. The idea is simple — pay a deposit when you purchase a six-pack and get that money back when you return the container to the store, but 48 years after the bill was introduced, the state is experiencing high recycling levels for the first time. The original bill, called the Oregon Bottle Bill, requires all beverage distributors, excepting alcohol, milk and a few other select beverages, to charge a minimum refundable amount on each container sold. From 1971 until 2017 that amount was five cents. So a six-pack of beer or soda would have cost 30 cents more at the store. That 30 cents was then refunded to the consumer when they took the cans back to the store. In 2017, the state supported a legislative increase to ten cents per container, with remarkable results. This change alone is credited with increasing return rates to 82 percent. The national average runs around 33 percent. While legislators likely would have directed policy towards the change eventually, the increase was triggered by a provision of state law enacted in 2011, which states that the increase must occur if return rates fall below 80 percent for two consecutive years. After 2014 clocked 68.3 percent and a 2015 return rate of 64.5 percent, 2016 got the ball rolling on the initiative. Since the recycling program’s initiation in Oregon, the state has seen promising results, especially in reductions of roadside waste and a dramatic increase in return rates. Reports state that at the time of the bill, bottles and cans were estimated to make up 40 percent of roadside waste. That estimate is now six percent. An even more impressive marker of success is the 2018 90 percent return rate. Put a different way, that represents two billion containers. Obviously the goal is to recycle every single recyclable bottle and can, not only to save on resources such as virgin aluminum, but to minimize waste. It’s easy to see that Oregon citizens have bought into the program with a 90 percent return rate. Oregon is known as a progressive state, especially when it comes to environmental issues, so it’s no surprise they’ve led the nation in this drive towards awareness of single-use containers and the importance of recycling. With this in mind, another major policy change contributed to the increase in recycling numbers. In January 2018, the bottle return policy expanded to include all plastic, aluminum and glass beverage containers such as energy drinks, juice, coffee, tea and others. To hit the 90 percent mark with all of those added containers is a testament to the efficiency of the system and dedication of Oregon’s consumers. The combination of the increased refund value, along with a wider variety of containers being accepted, is credited with a 35 percent increase in refund returns over just the last two years. While the legislation has remained relatively unchanged over the years, the process for returning bottles has evolved to accommodate those growing numbers. What once began as hand-counting returned containers later became automated, as return machines were installed in most major retail locations. The machines accept the different types of materials, read the barcode and keep an electronic tally of the return value. A printed slip is then taken to a cashier who exchanges it for cash. Many retailers in the state have pooled resources to initiate a centralized bottle return center known as BottleDrop. These return centers are located away from retail establishments, meaning that consumers have to make a special stop to return cans rather than being able to return them at the store where they shop. While it makes it somewhat less convenient, the fact that BottleDrop specializes in container returns means that the process is streamlined with hi-tech machines and staff available to help with any issues. 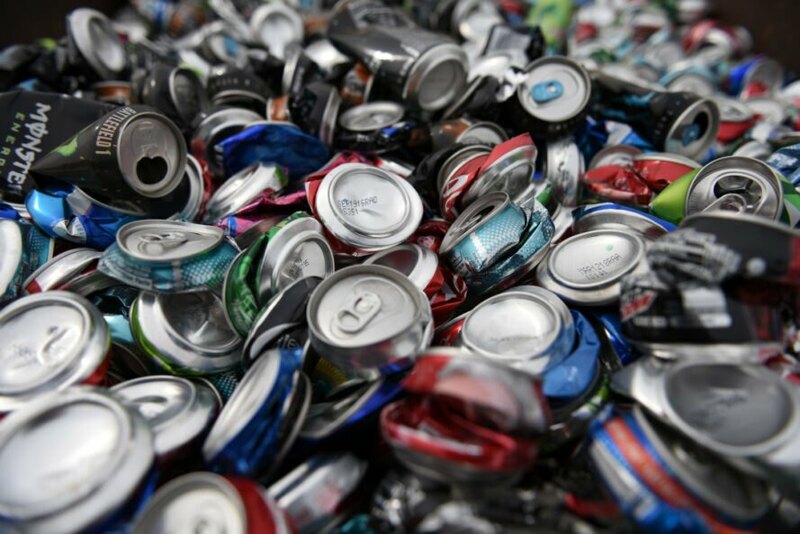 Consumers have the option of feeding cans into the machine themselves or dropping them at the location and having staff count the cans for a small fee (around 40 cents per bag). Those that manually feed their cans receive a printed receipt. The receipt is then scanned into a nearby machine that dispenses payment. For those that choose to drop their bags, their account is credited after the cans and bottles are processed. The consumer can then cash out or even move those funds as a credit to a nearby participating retail grocery store. The convenience of this program has proved to be another valuable key in the success of the overall bottle return initiative. 2018 saw a 50 increase in BottleDrop accounts, needless to say, people are definitely taking advantage of it. With the high return rate and low waste rate, it seems shocking that the idea has not taken affect nationally. While most of Canada has now adopted the policy, only 11 states currently participate in a state-legislated bottle return plan. In addition to Oregon, those states are Vermont, Maine, Michigan, Connecticut, Iowa, Massachusetts, New York, Delaware, California and Hawaii.